We are delighted that Spend Matters have recognized Virtuosi™ Analytics as a Leader in their latest assessment report on spend analytics. Spend Matters assesses solutions on two primary axes; an Analyst score derived from an in-depth technical review of the functionality, and a Customer score determined from feedback from actual users. 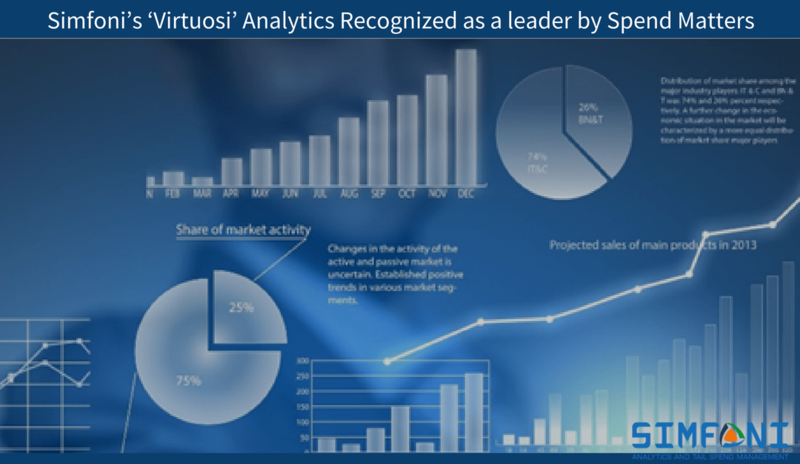 Virtuosi™ Analytics was awarded high scores across both Analyst and Customer dimensions. These findings underline the technical power and versatility of Virtuosi™, which uses advanced algorithms and machine learning to cleanse, classify and manipulate data. Customers also valued the ease of use of the solution with the ability to create reports and drill down into data to extract actionable insight. Importantly, the research analyst findings underline the value to be had in selecting a dedicated analytics solution to analyze spend, savings opportunities, contracts and wider supply chain data. The gap is widening between off-the-shelf analytics tools offered by the eSourcing and P2P providers who tend to treat analytics as a bolt-on to their core product, and specialist analytics solutions such as Simfoni’s Virtuosi™ which deliver more powerful in-depth analysis, with stunning visualization on a scalable platform that can grow with the organization. Leading companies all over the world are benefiting from Virtuosi™, which has enabled them to outlearn their rivals and to make better, faster decisions. 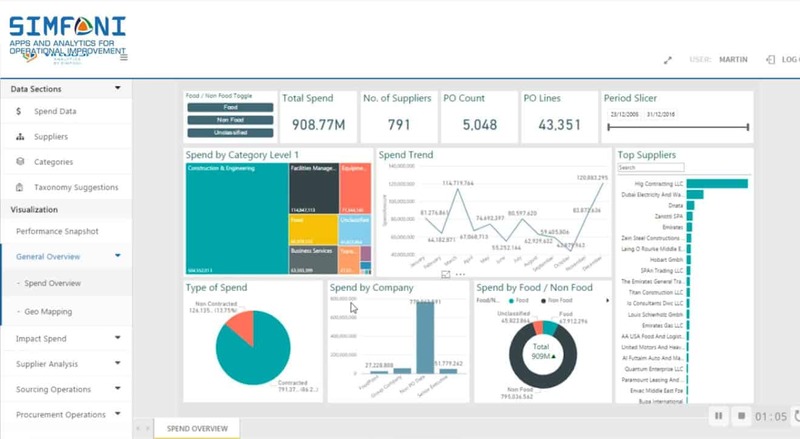 At Simfoni we believe that we’re a bit special, as we not only have one of the most powerful analytics solutions in the market, but combining this with our deep procurement expertise allows us to understand the insights procurement professionals require to enhance their spend management capabilities. We love to show off Virtuosi™, so to see a demo just drop us an email at info@simfoni.com.